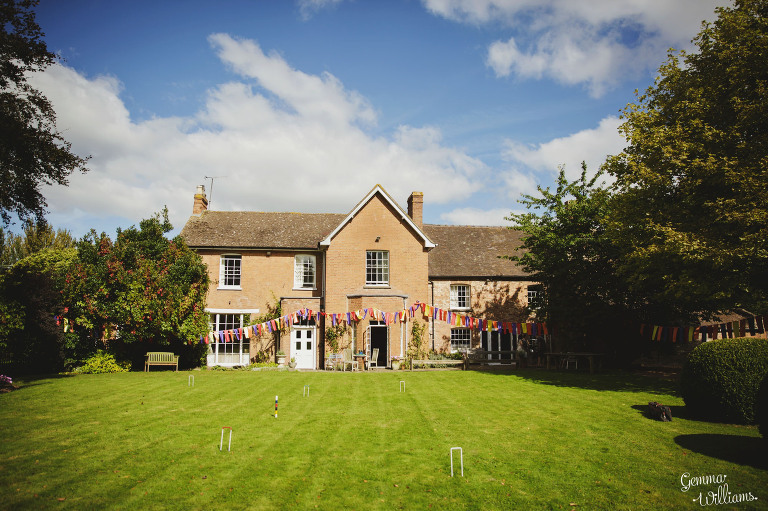 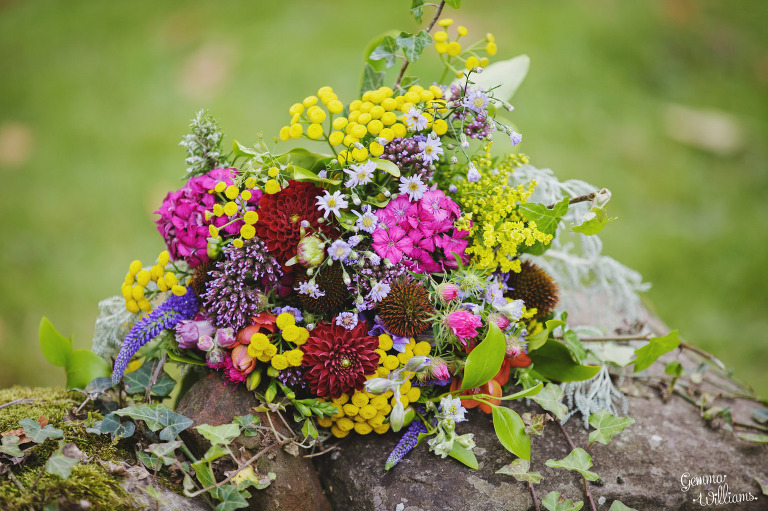 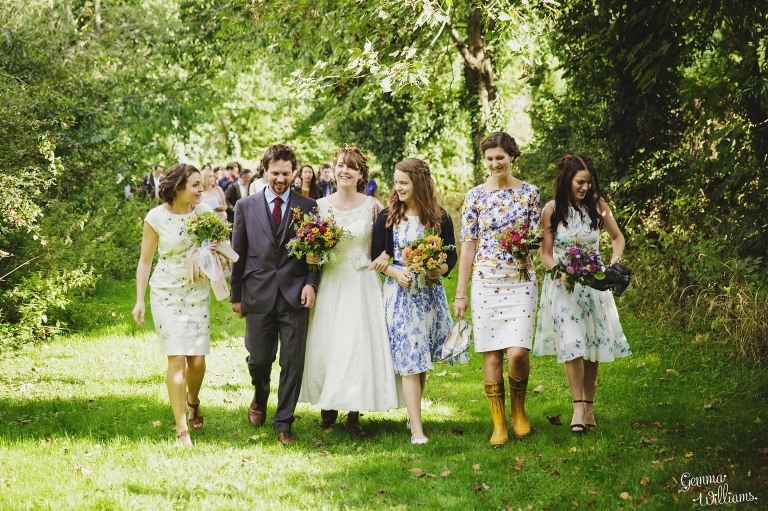 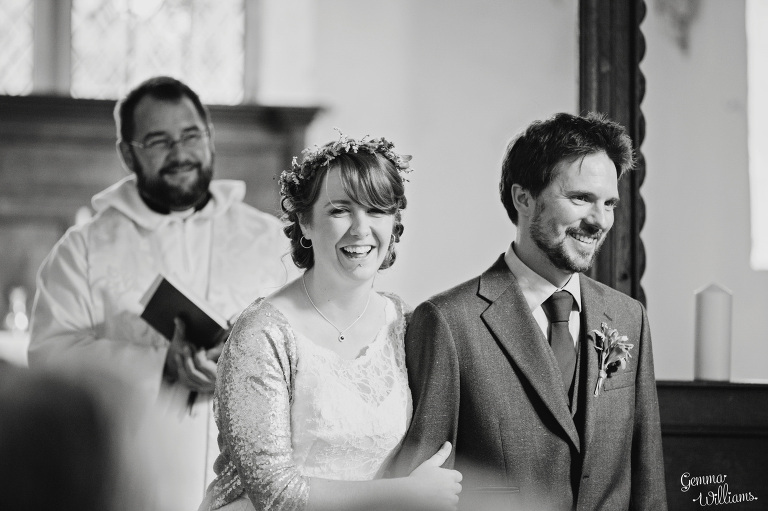 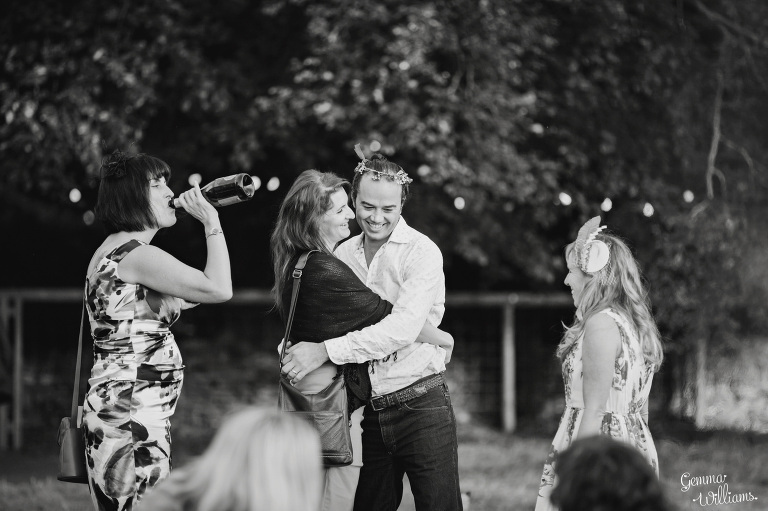 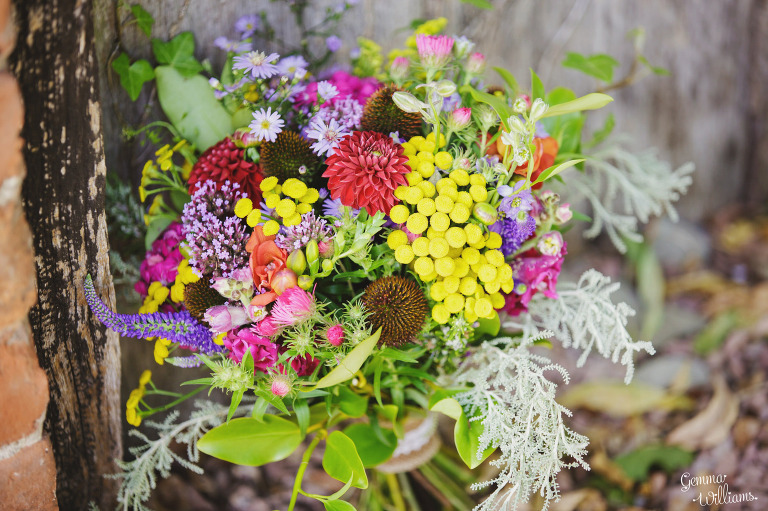 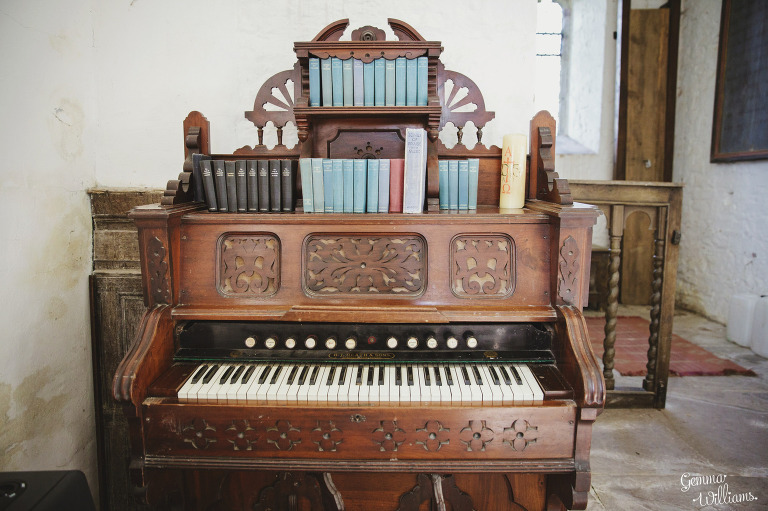 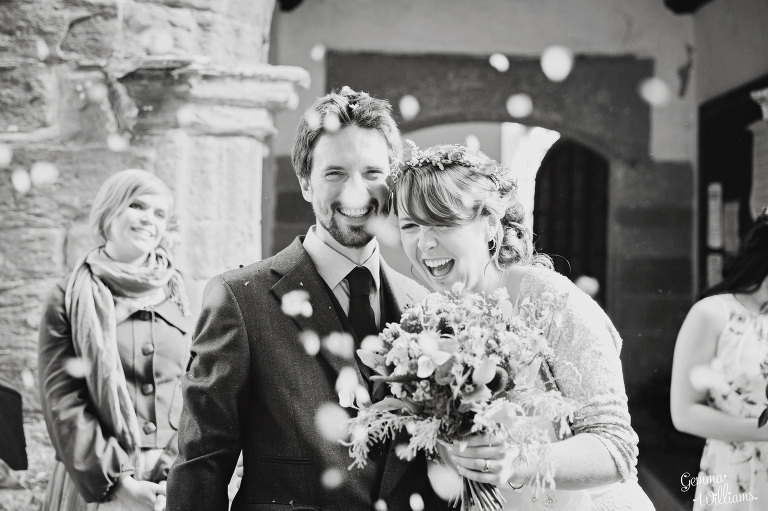 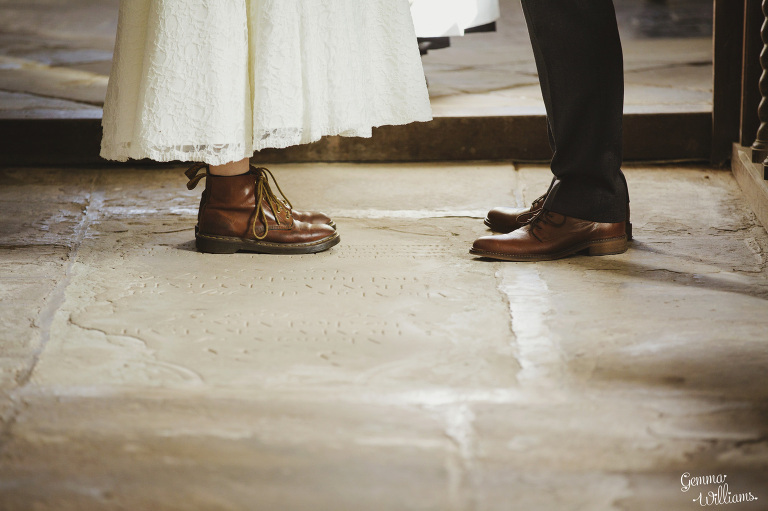 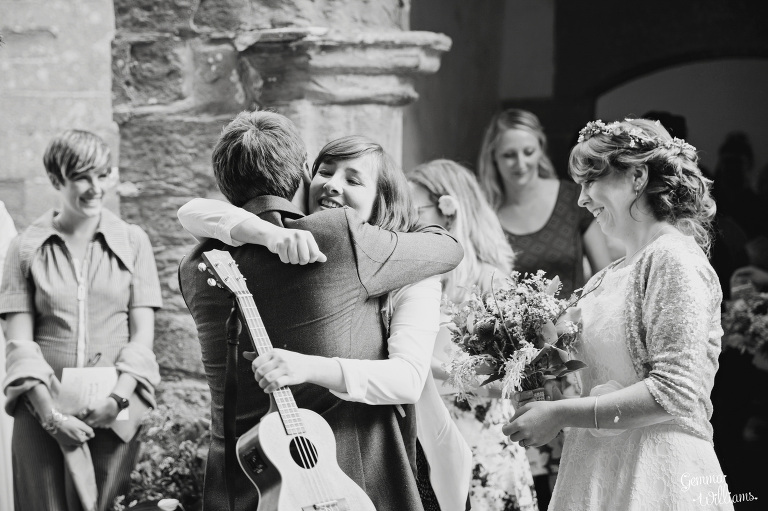 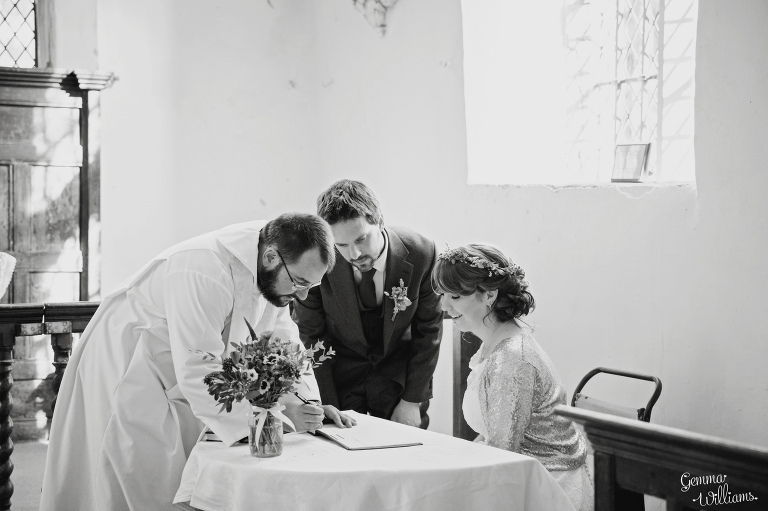 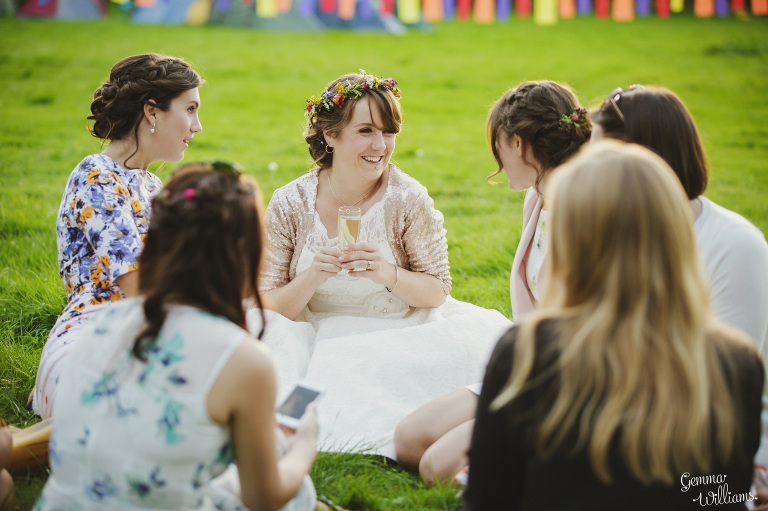 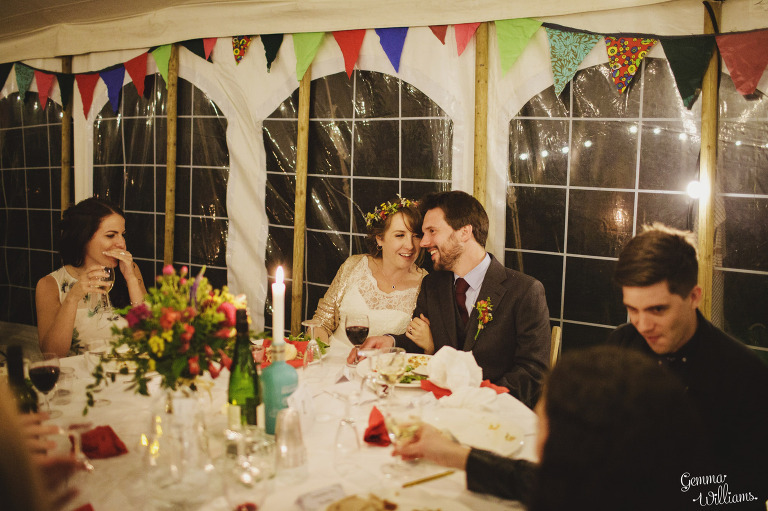 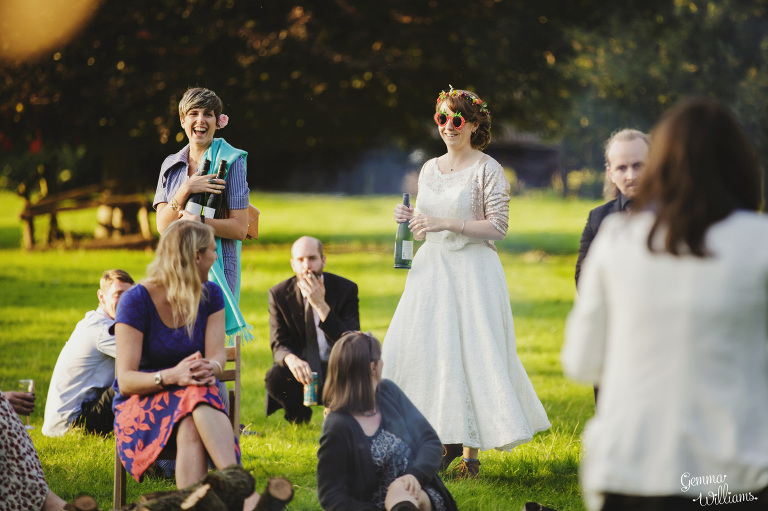 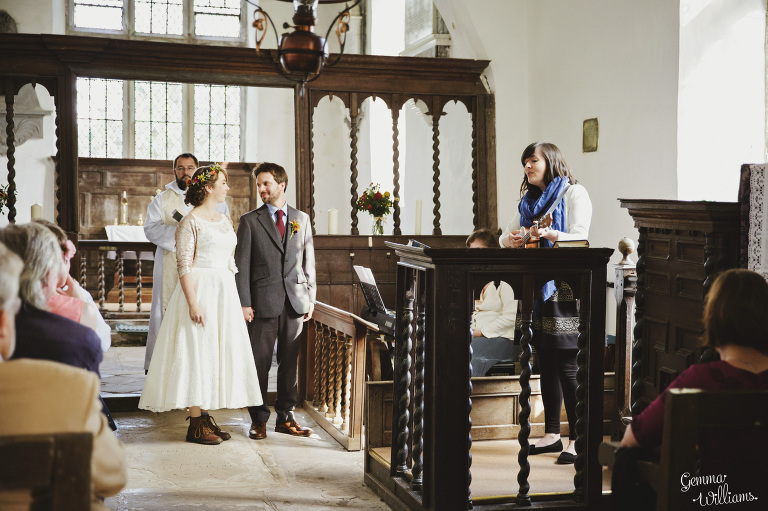 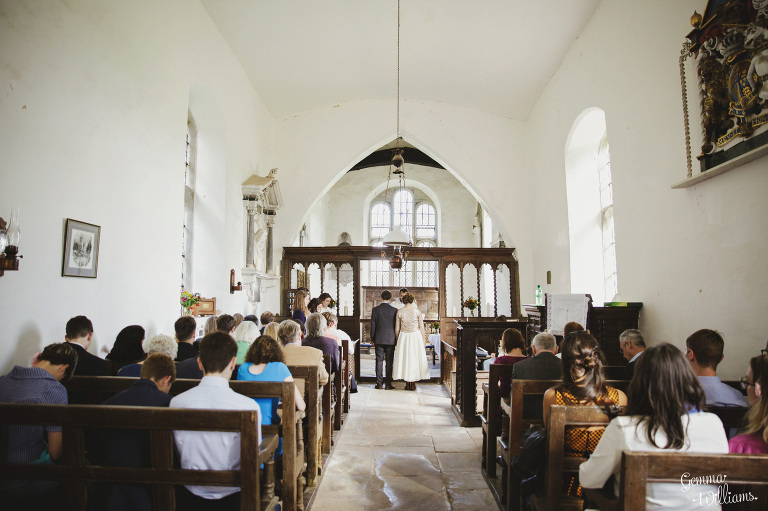 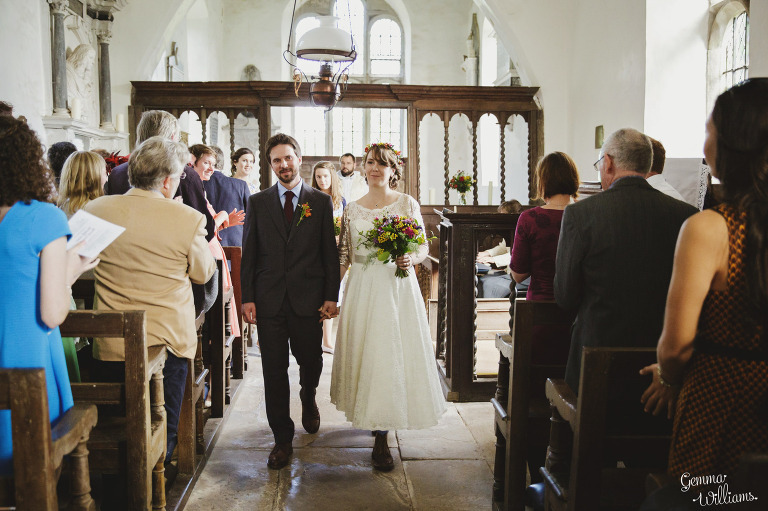 Grace & Sam had a fun Herefordshire wedding celebration back in September. 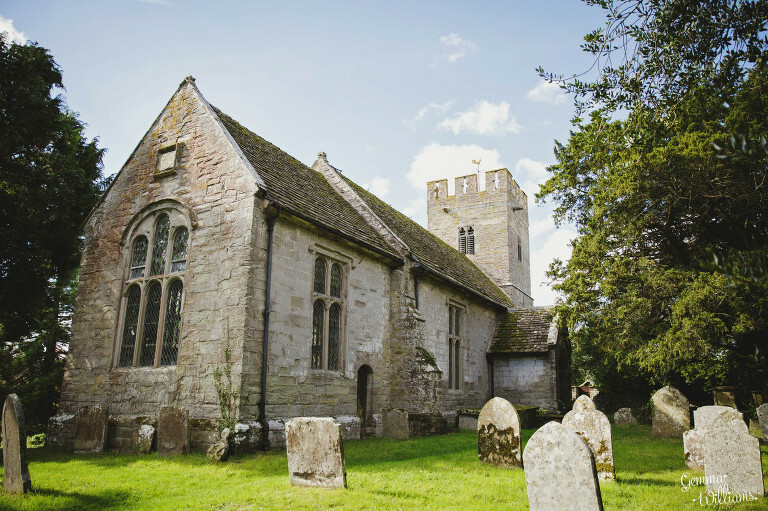 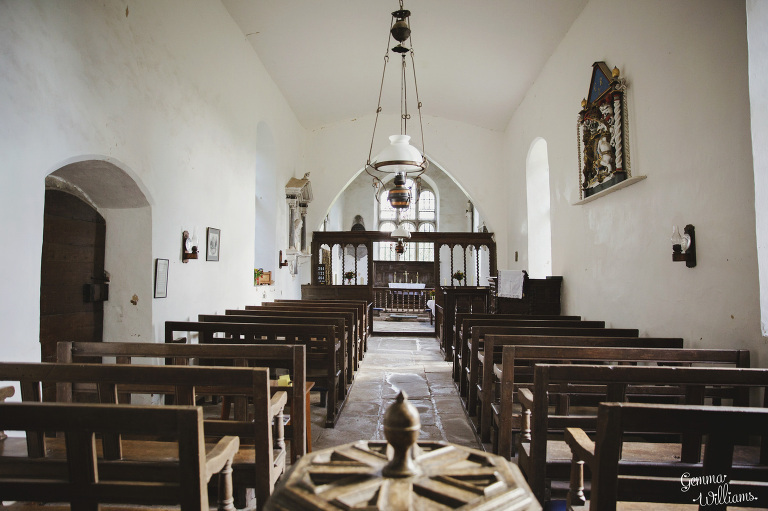 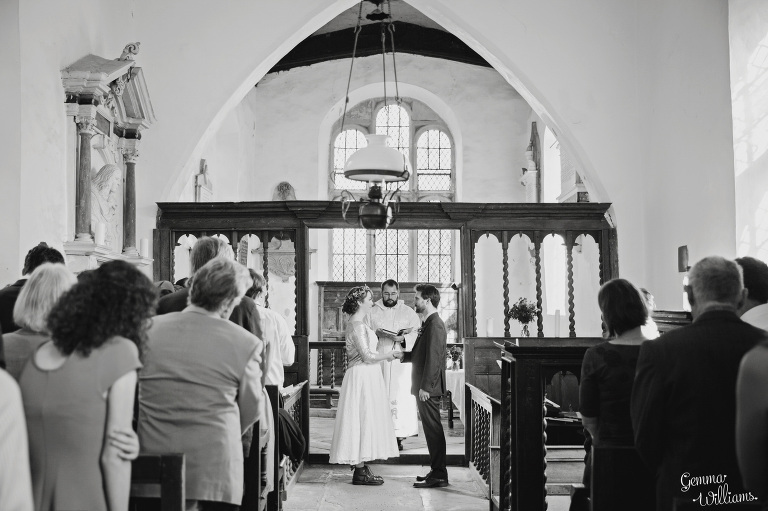 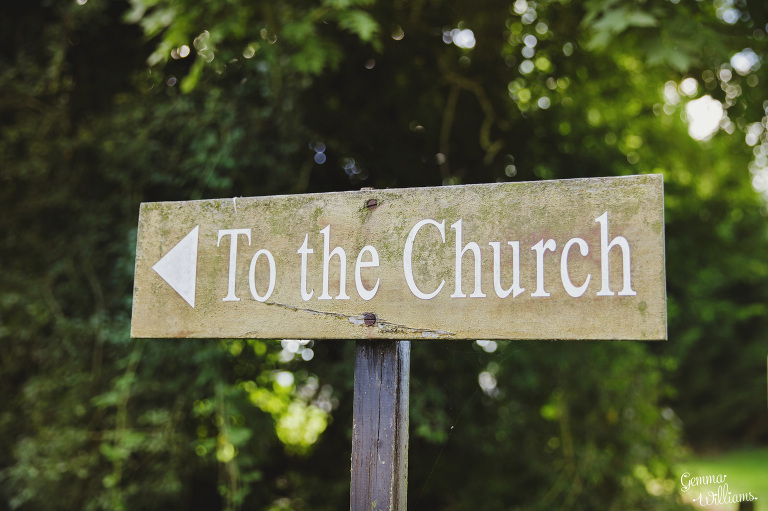 They tied the knot in the local church, hidden away down a countryside lane. 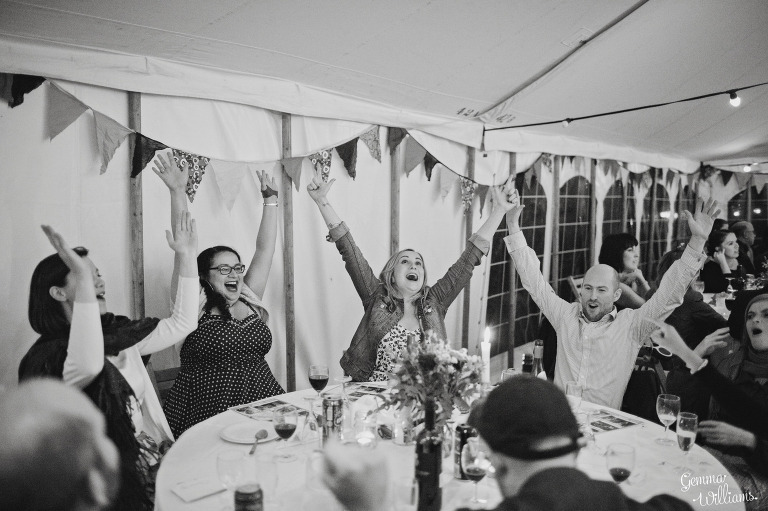 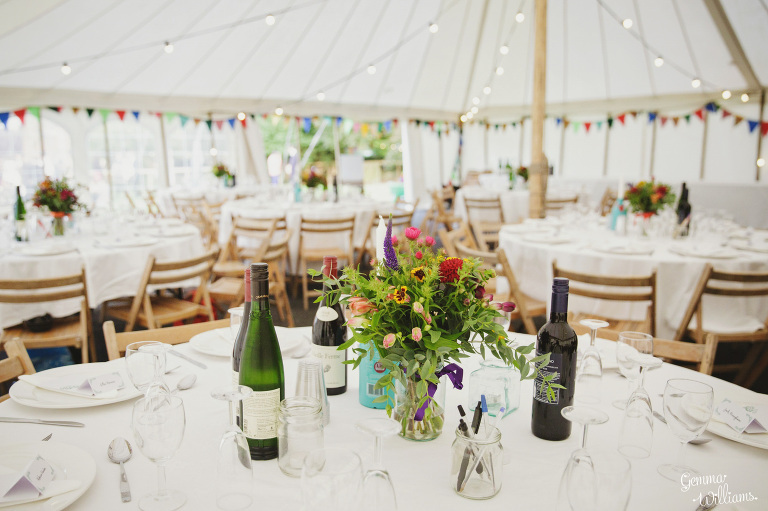 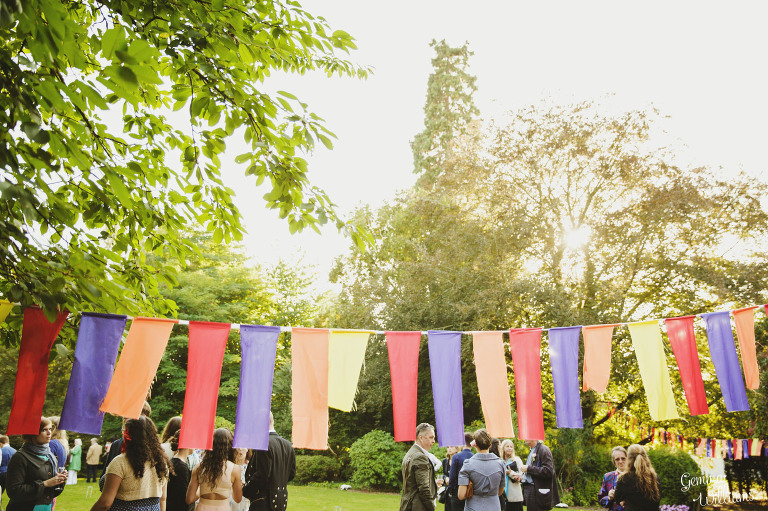 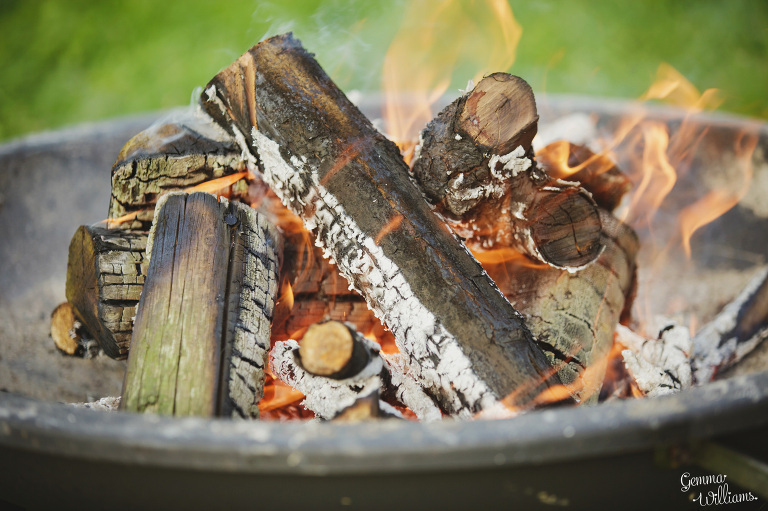 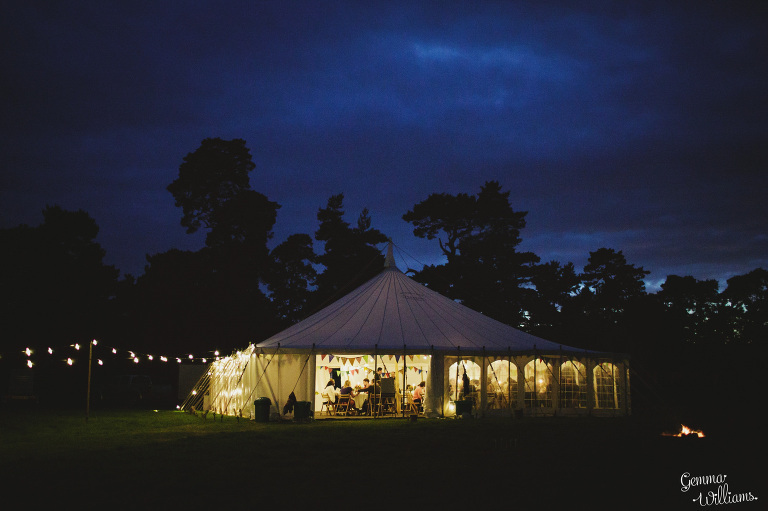 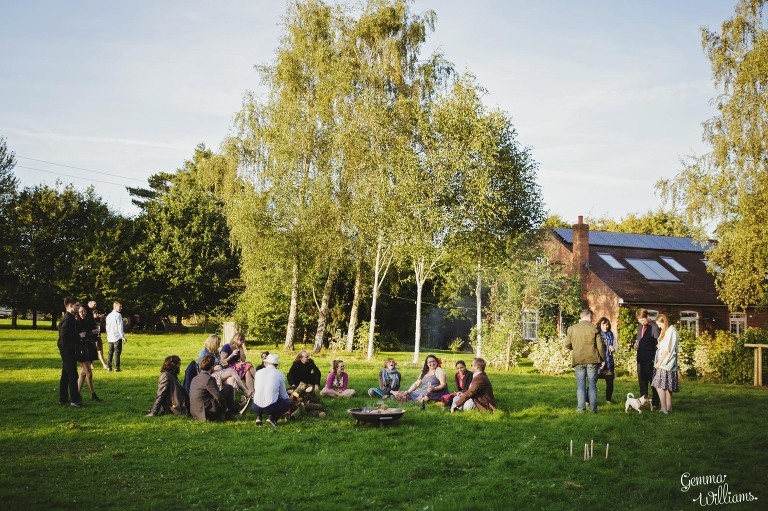 Then everyone celebrated back at the family house, festival style, where there was plenty of colourful bunting, garden games all afternoon, and a campfire to gather around as the sun went down, before heading into the marquee for the evening. 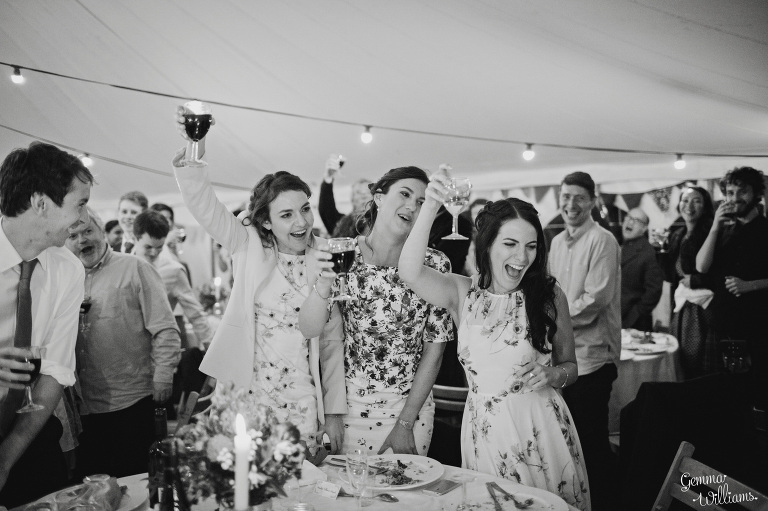 Grace & Sam didn’t want a traditional wedding day – they wanted it to be relaxed, informal and fun, with plenty of personality, and that is exactly what they achieved! 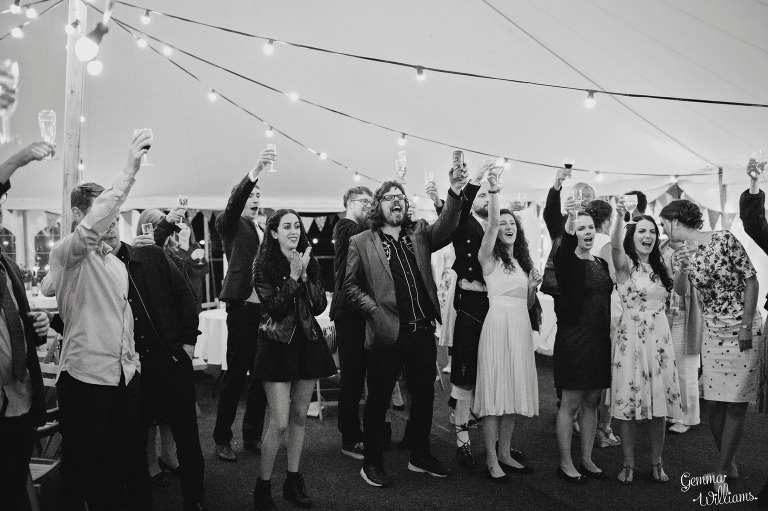 All their friends & family helped out to make this a really memorable and enjoyable wedding celebration – their day, their way. 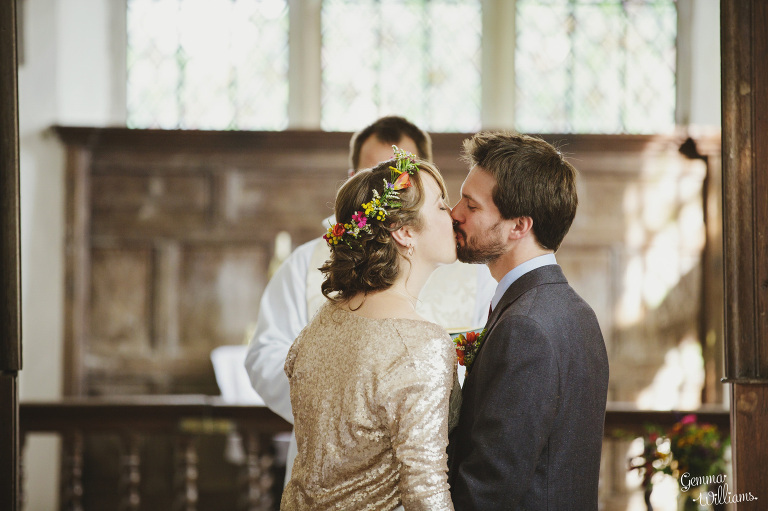 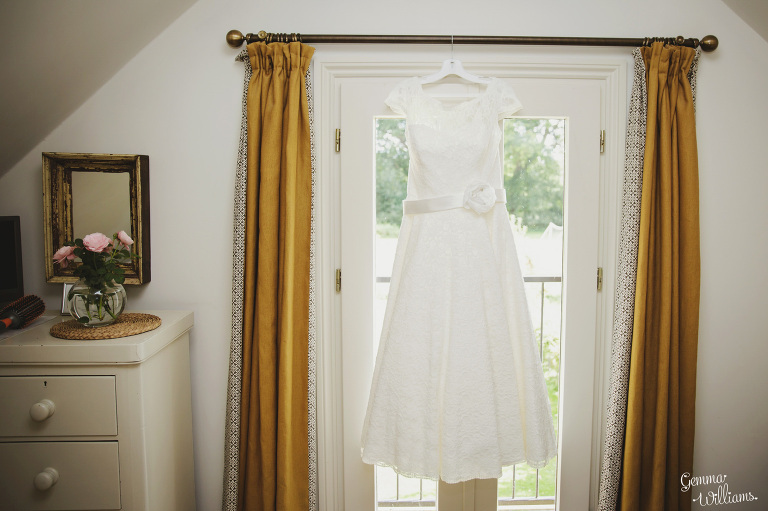 Grace wore a tea-length wedding dress with a sequinned gold bolero, a flower crown, and her faithful boots. 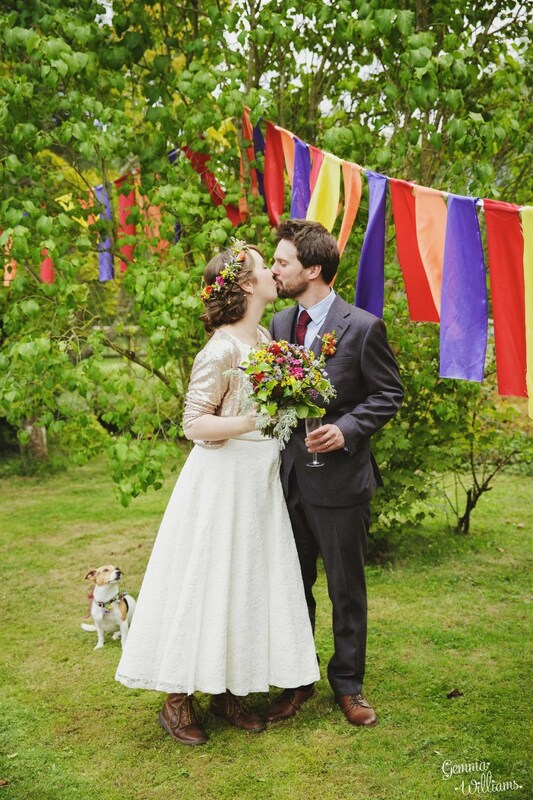 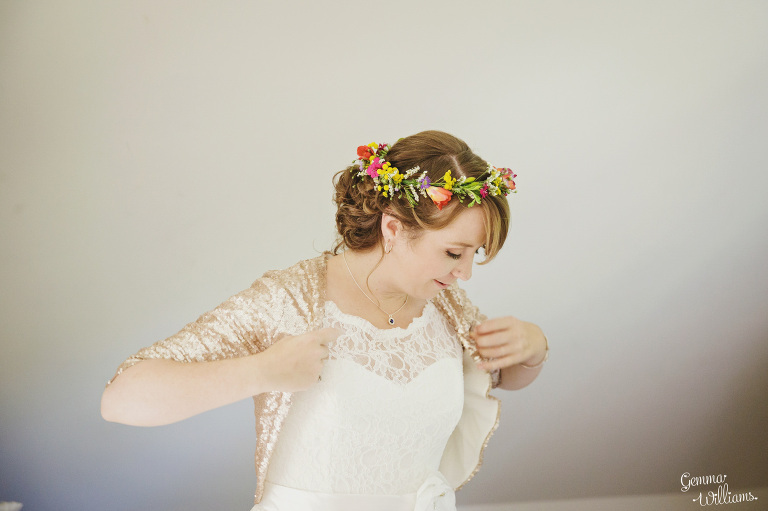 Her hair and makeup was by Le Glow Beautiful Brides, and the vibrant bouquets were by The Great British Florist.